Combining the warm feel of Oak wood with the sparkling elements of tempered glass, the 72" Waterfall Double Vanity brings a unique look to your bathroom. Three central drawers and see-through double-door cabinets under each sink offers tons of storage space, while its elegantly modern design brings all the elements of this vanity together. 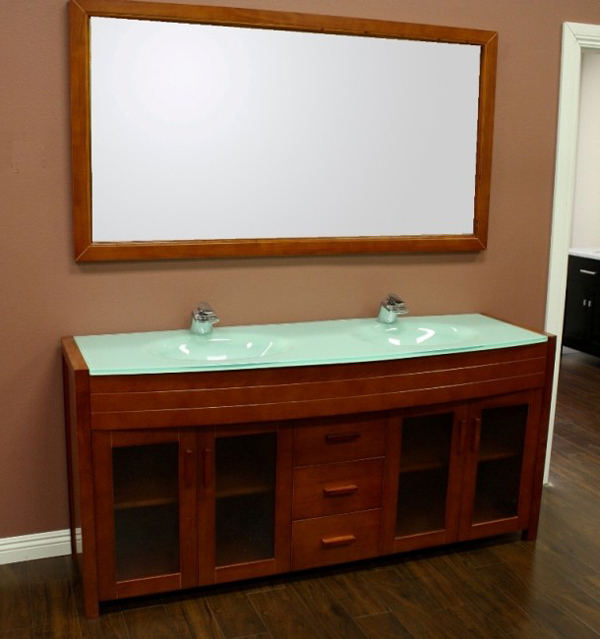 Its spectacular tempered glass sinks and top gives this vanity an attractive flair that's also complemented by the reflective surface of the large matching mirror. This looks so much more expensive, I love it!